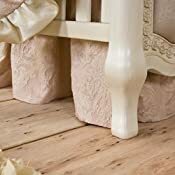 Beautiful washed brocade has a soft hand and is a soothing shade of ballet pink. 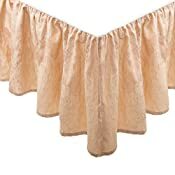 The fabric looks like it is vintage silk taffeta. 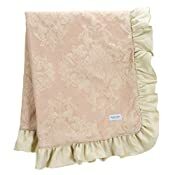 The classic damask pattern is woven into the cloth, not simply printed, for added richness of detail and durability. 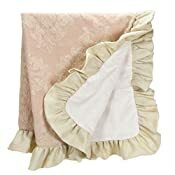 Full 3" ruffles in cream damask complement the unique brocade. 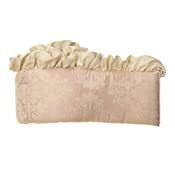 Wide satin bows also emphasize the subtle woven pattern. 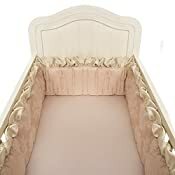 Sateen sheet in pale champagne has a radiant luster and a warm softness. Quilt back is super soft ivory fabric. 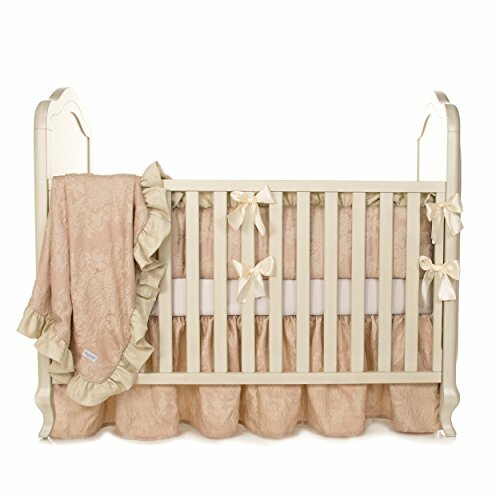 Savor the moments with baby in her beautiful nursery. These timeless pieces will be tomorrows heirlooms to remember and enjoy.